This is the first of two parts of Annika Palome’s review of the aftermath of the Panama Papers. Part 2 will be posted tomorrow. The Court of Appeals has blocked a magisterial inquiry into possible money laundering allegedly committed by members of Joseph Muscat’s Cabinet and exposed by the Panama Papers. The inquiry was requested by the former opposition leader Simon Busuttil after the failure of the Police Commissioner to start an investigation. The Prime Minister, as well as other persons mentioned in the request, filed several appeals to block the inquiry. By contrast in other countries, the Panama Papers have led to investigations, convictions and resignations. The Courts’ refusal to investigate the corruption allegations coincides with Malta tumbling down to a record low on the global Corruption Perceptions Index. The 2018 rankings, released by Transparency International, demonstrate that Malta has fallen down 17 positions in the past 3 years. Whilst Denmark took the position of the least corrupt country in the world, Malta is now at the 51st place from a total of 180 countries, between Saint Lucia and Namibia. Rwanda, Botswana, Uruguay, Chile and Bahamas scored higher, as well as 23 other European states. Some of the reasons given for Malta’s steep fall in the Democracy Index were its involvement in the Panama Papers scandal as well as the assassination of Daphne Caruana Galizia, the scandals of Pilatus Bank, and the controversial Golden Passports scheme. In addition in December 2018, a Council of Europe report concluded there was a serious rule of law problem in Malta. The judicial arm was not exempt. The Panama Papers exposed persons within the Government, namely the Tourism Minister Konrad Mizzi, and Prime Minister Joseph Muscat’s chief of staff, Keith Schembri owning shell companies in Panama. Further revelations by the Daphne Project revealed that Schembri and Mizzi opened the secret companies in Panama for the purpose of receiving €5,000 a day from two Dubai-registered companies. One of them is called 17 Black, owned by one of the Maltese owners of the new power station project, Yorgen Fenech. Initially, in July 2017, Magistrate Ian Farrugia decreed that there would be enough ’prima facie’ evidence to merit an in genere inquest into the two PEPs, as well as several others including the Prime Minister, over their connections to Panama Papers revelations. However, on the 27th July, Prime Minister Muscat, Mizzi, Schembri, and others filed an application for Magistrate Farrugia’s decision to be revoked. In October 2017, Daphne Caruana Galizia, the journalist who wrote about the Panama Papers leaks and about 17 Black, was assassinated by a car bomb. 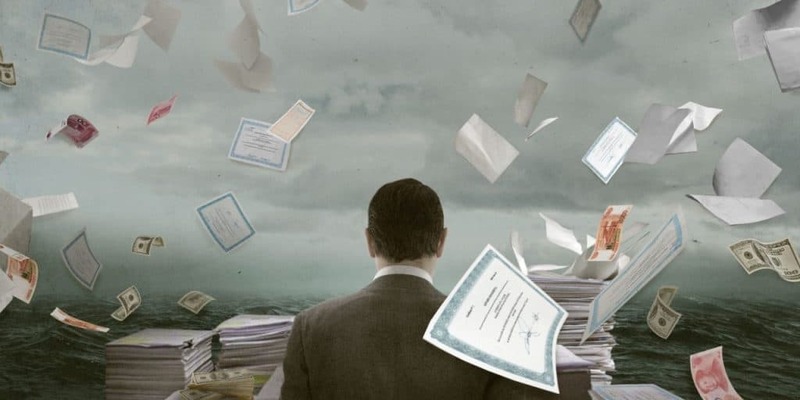 On February 27, 2018, the Malta Constitutional Court’s decision given by Judge Joseph Zammit McKeon, found the Panama documents ”admissible as evidence”. The Attorney General with the lawyers of the Prime Minister, the Chief of Staff Schembri and Minister Mizzi, again requested for the refusal of the documents. In December 2018, the Venice Commission criticised the lack of independence of the judiciary and the “problematic double role” of the attorney general as a government advisor as well as a prosecutor. On 8th January 2019, Malta’s Court of Appeals revoked the order for an inquiry ruling that “hacked” documents cannot be used as evidence. Judge Giovanni Grixti stated that documents obtained “unlawfully” from the Panama Papers leak ”had no probative value”. Simon Busuttil with MEP David Casa tried once again to reignite the inquiry at the end of January 2019, but Magistrate Francesco Depasquale concluded that the court’s refusal to investigate is final and cannot be appealed. Contrary to Malta’s court decisions to block the investigation, the Panama Papers have led to extensive investigations by national tax and criminal authorities around the world. The Papers have given a direction to investigate and collect more evidence in multiple countries such as Australia, Argentina, India, France, Indonesia, Italy, Sweden, Pakistan, Tunisia and the United Kingdom. Authorities in all of these have ordered copies and are currently in the process of investigating their nationals named in the Papers. Denmark, topping the Corruption Index as the least corrupt, purchased the Panama Papers as evidence on 320 companies and approximately 500 individuals to be investigated. Contrary to Judge Grixti, Danish authorities stated that although the data came from an anonymous source, it was vetted with credible sample data. The Danish authorities established that the data had a quality “on a par” with previous samples,” and gave a direction to “go deeper” to see whether people identified in the documents should be investigated for tax dodging. Some countries have already made convictions based on Panama Papers evidence. 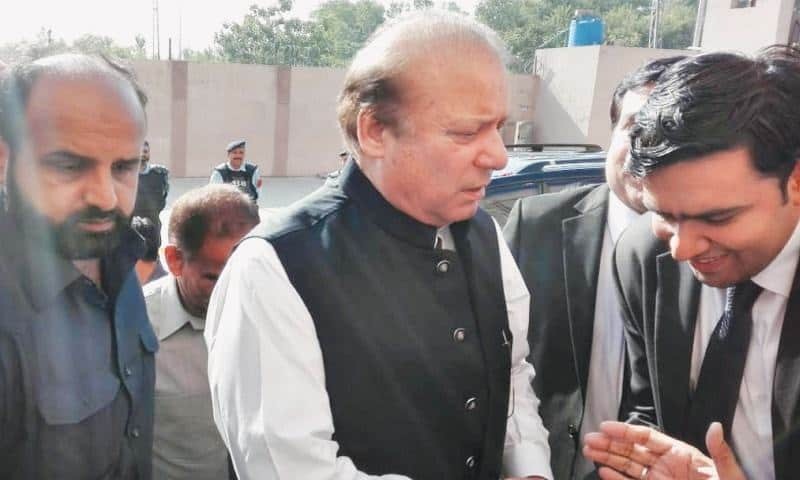 In December 2018, Pakistan’s Supreme Court convicted former Prime Minister Nawaz Sharif on corruption charges and handed him a seven-year prison sentence. Former French Budget Minister Jérôme Cahuzac, was sentenced in 2016 to three years in prison, for tax fraud and money laundering. Sweden is currently investigating Nordea Bank, that had helped set up nearly 400 offshore companies for its clients in Panama. Tunisia is another country which has seen widespread action taken based on the Panama leaks. The Tunis trial court prosecutor ordered a judicial inquiry to be opened on the Tunisian PEPs mentioned in the Panama Papers. Also, the Anti-Corruption Commission in Bangladesh, launched an inquiry to obtain details of the individuals mentioned in the papers stating that tax evaders would be brought to justice and punished. Panama leaks have also led to resignations of ministers and government personnel around the globe. In addition to the resignations of the former French Budget Minister Cahuzac and Pakistani Prime Minister Sharif , the revelations have led to resignations of Icelandic Prime Minister Sigmundur Davíð Gunnlaugsson, Spanish Minister of Industry José Manuel Soria and Ukrainian Prime Minister Arseny Yatsenyuk. However, not all countries have acted on the Panama Papers. Malta’s Labour Government’s business and political partners Azerbaijan, China and Russia seem to have wanted to ignore the whole Panama scandal. China’s Communist Party reportedly told Chinese news organisations ”to delete all content related to the Panama Papers leak”. Russian media, initially, aside from a few independent outlets, entirely ignored the leak. The US$2.9 billion money laundering operation run by the by Azerbaijan’s ruling elite was exposed by the Organized Crime and Corruption Reporting Project (OCCRP). The Panama Papers made it possible to trace some of the elaborate network of shell companies. Following the report, the Azeri National Assembly passed a law making it illegal to report company ownership, and another giving former presidents and first ladies lifelong legal immunity. Azeri journalist Khadija Ismayilova, who reported on the 2012 investigation was subjected to legal and public harassment and was initially given a 7.5 year sentence for ”tax evasion and abuse of power”. She has since then been released due to criticism by activists and human rights organisations for her political arrest. Despite Malta’s alarmingly deteriorating corruption standing, it appears that instead of tackling it, the Maltese government prefers to follow in the steps of their allies. Malta is now the only member state of the EU that has a sitting minister implicated in the scandal. 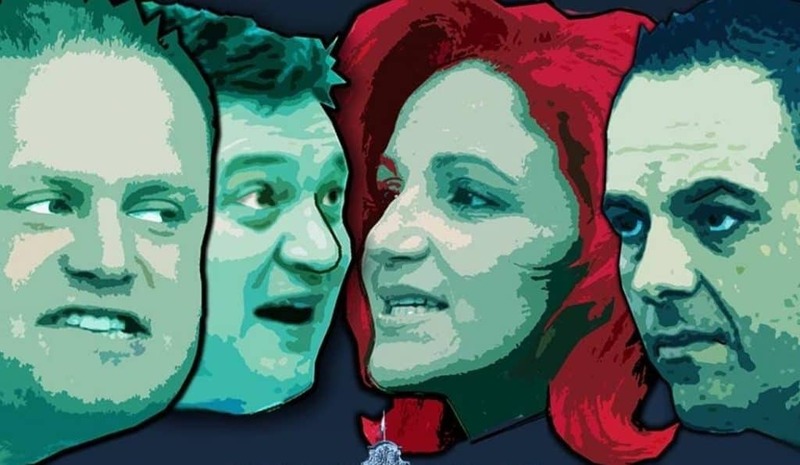 Despite Mizzi’s and Schembri’s involvement in the Panama Papers, no resignations have taken place as they continue to hold their high positions within the government. Prime Minister Muscat had formerly stated that he would not take any action (against Schembri and Mizzi) until the investigation has taken place. However, this statement contradicts with his continuous and seemingly successful efforts to block the Panama Papers inquiry. The latest court decision to block the inquiry about the Panama papers seems to be the tip of the iceberg. The Maltese Government aspires to sweep corruption under the carpet.